Alan Anderson was brought to Washington to step in and fill the gap left behind from Paul Pierce and provide John Wall with the mentorship needed to advance his game. Unfortunately, the Wizards paid a much higher premium for his services than they expected. He earned $307,692.31 for every game he took the floor this season, and the highlight of his season probably came in Portland when he got ejected after a scuffle with Gerald Henderson. He turned in career lows for free-throw percentage, field goal percentage, minutes, and games played. His handshake and suit game were on point but that never carried over onto the court as he was a quasi-assistant coach for most of the season. There was some optimism after Anderson made his Wizards’ debut in Chicago on February 24th. 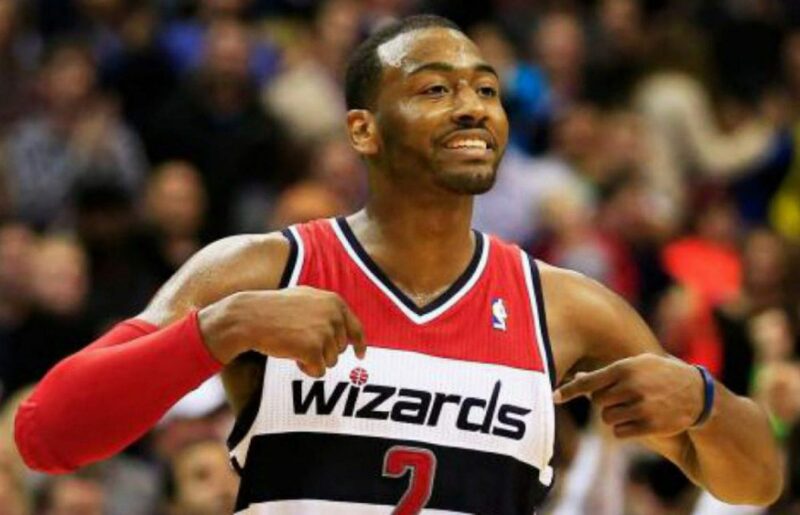 In his first game in a Wizards uniform, Anderson scored nine points including going 2-3 from three-point range. Anderson backed that up a week later with a season-high 18 points on 6-9 shooting in the Wizards win over the Timberwolves. After these two promising outputs, there was reason to believe that Anderson would be the first or second guy off of the bench. You could see how he’d fit into the rotation nicely as he could be used as the shooting guard or a small forward to spell Beal or Porter. Anderson’s season can be summed up by one word: injuries. What was thought to be a minor ankle injury that would sideline him for no more than a month or two kept him out until after the All-Star break. Once back on the court, Anderson struggled with a lingering hamstring injury which caused him to miss more time. As a result, Anderson played in just 13 of a potential 31 games (games post All-Star break) and never got into a rhythm with the rest of the team. Going forward, I don’t think there is a roster spot available for Anderson. The Wizards need to get younger more athletic wing players which doesn’t bode in Anderson’s favor. At his age, it’s going to be harder and harder to fully return to form from injuries and avoid future setbacks. Did he provide nice mentorship and advice to Wall and some of the younger guys? The jury is still out. Let’s not forget that Anderson has made the postseason just twice. We’re not talking about Paul Pierce here. His suit game is second to none. He can handshake with the best of them. But at the end of the day, this was a season to forget for Anderson.